A homegoing celebration for Messiah Daniel Davis of Tampa, Florida who passed away on Saturday, February 2, 2019 will be held Saturday, February 9th, 1:00 p.m. at Peace Progressive Primitive Baptist Church, 2628 E. Lake Avenue, Tampa, FL., Pastor Timothy J. Kemp, officiating. The interment will be in Orange Hill Cemetery. Messiah Daniel Davis was born June 30, 2017 in Tampa, Florida. He attended Peace Progressive Primitive Baptist Church. 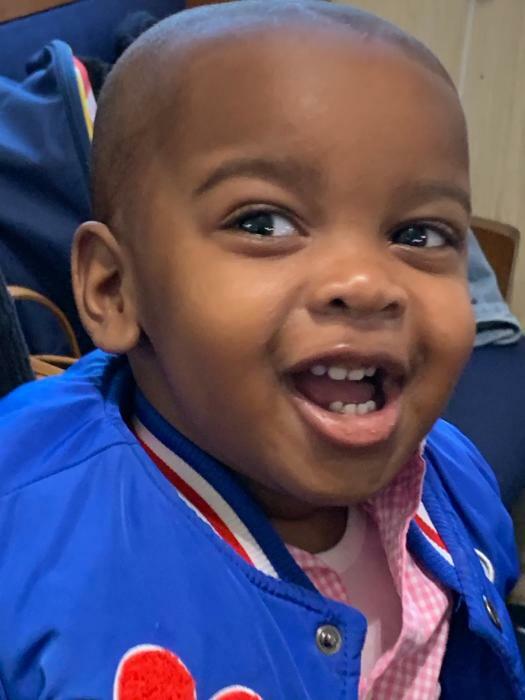 Messiah liked to listen to “Baby Shark” and enjoyed watching “Blaze” and “The Monster Machine”. He leaves to cherish his precious memories with his parents Robbie McKnight-Bolles, III and Felicia Davis; grandparents, Sheila Richardson, Janet Davis, Marvin Davis and Ron Mills; great-grandmothers, Bessie Murphy and Iva Green; brothers, Robbie Bolles and Hezekiah Davis; sisters, Makayla Bolles and Aaliyah Davis; aunts, Christy, Charisse, Sent, Leshawn, Tesha and Keda; uncles, Peyton, Rahshen and Daryl; a host of other cousins and relatives that will miss him dearly. The visitation will be held Friday, February 8th from 5:00 to 7:00 p.m. The family and friends are asked to meet at the church on Saturday for the service.